2011 was a very busy year indeed. In addition to TEDxSechelt, Rainforest Circus, and The Sechelt Arts Festival, I managed to jam in an outdoor feel-good summertime concert at the best venue on the Sunshine Coast. 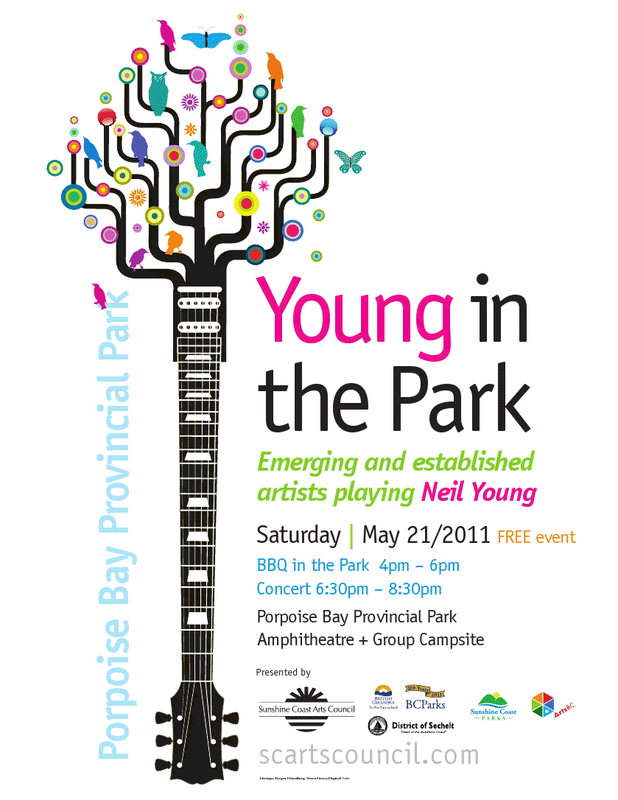 Many musicians young and old were brought together, and the result ended in a beautiful expression of the re-imagined works of Neil Young in part to celebrate BC parks day. Check out the photos below courtesy of Dave Hallstead and Molly McPherson. Thanks to all of the musicians and crew who helped pull this one off! A magical day and one that people constantly stop me and ask if we'll do it again!